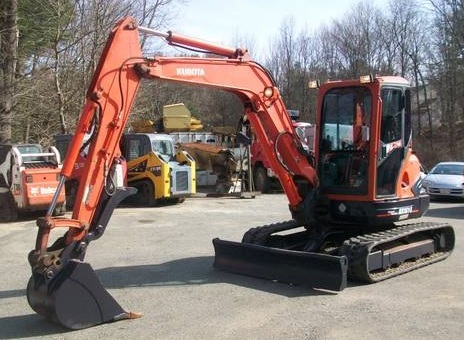 Kubota KX161-3 mini excavator is now available for sale. It weighs about 12,000 pounds, comes with enclosed cab with heat and A/C unit working well. 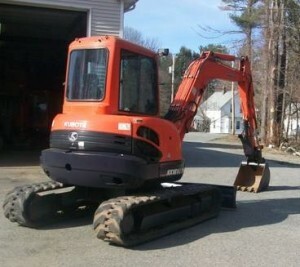 Equipped with Coupler, Hydraulic thumb, 2 speed travel and 24” and 18” digging buckets are included. It has about 2100 hours and still decent condition of rubber tracks. Also has Angle Blade, auto idle feature and blade float. Asking for $38,500 or best offer. Just finished the service and ready for the work on the road. 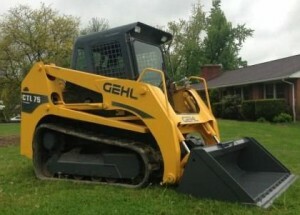 I have 2010 GEHL Skidsteer loader, model CTL 75, in like new condition. New tires and great working A/C compressor, enclosed cab, heat/AC, am/fm stereo included. It also has power detach bucket along with counter balance weight kit. When you ride on it, it will give you an excellent visibility with rear door and angled rear towers which will serve a clear moving radius. The overall condition is excellent, and ready to roll out this spring! Asking $34,900.